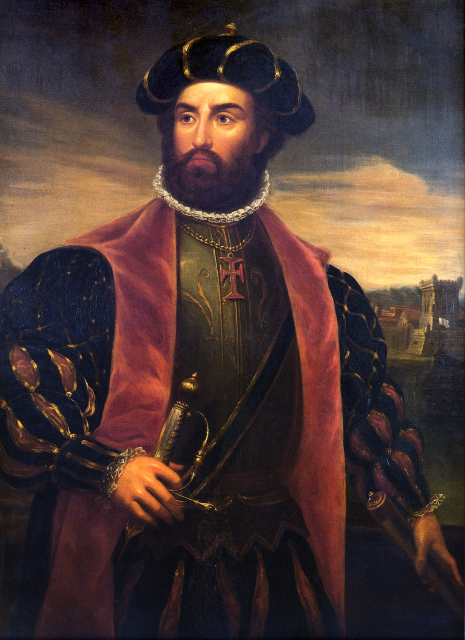 Vasco da Gama discovered the route around Africa to India and changed the nature of trade between east and west. Bartolomeu Dias was the first European to sail around Africa’s Cape of Good Hope and into the Indian Ocean. In 1497 the Portuguese ruler Manuel I sent Vasco da Gama on a voyage that would follow Dias’s route and then continue to India. Da Gama left from the Portuguese city of Lisbon, rounded the Cape, and reached the east coast of what is now South Africa on Christmas Day 1497. From there he slowly proceeded north along the continent’s east coast, reaching the city of Mombasa the following April. Farther north he found a Muslim pilot to accompany him across the Indian Ocean to India. After reaching the Indian city of Calicut on May 20, 1488, da Gama returned home and received great honor.